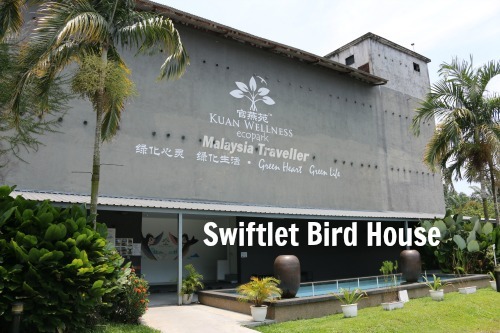 The owners of Kuan Wellness Eco Park are bird’s nest producers and they have opened up one of their swiftlet farm buildings near Pantai Batu Laut to the public to explain about bird’s nest production. 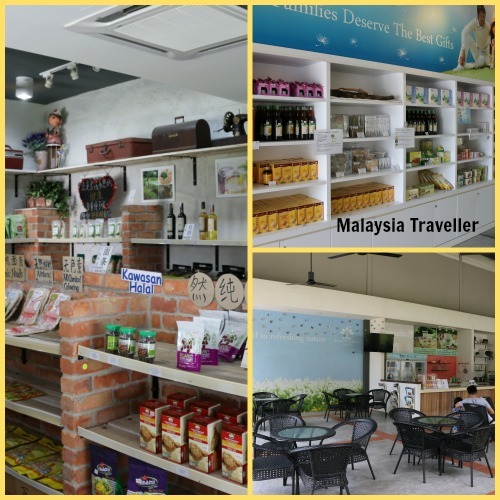 Together with a visitor centre, shops selling bird’s nest and other health foods and a small zoo attraction they have created a pleasant place to bring the family while visiting other nearby sites in this corner of Selangor. 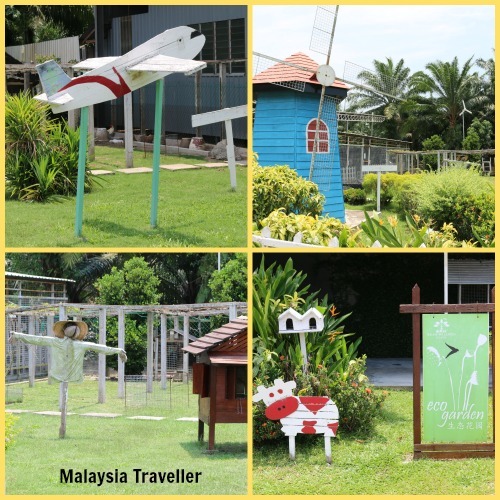 This is a mini-zoo (entrance RM 5 per person) containing various birds, animals, reptiles and fish. 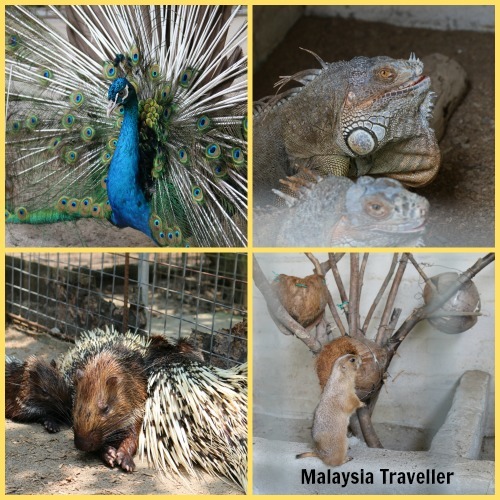 Visitors are encouraged to feed some of the animals with bags of carrots and other food on sale for Rm 2 or 3 per bag. Bird cages include sun conure, senegal parrots, rose-ringed parakeets, Livingstone’s turaco, mandarin ducks, black shoulder peacocks, golden and lady amherst’s pheasants, budgerigars, white-whiskered bulbuls, ringneck and diamond doves, giant zebra finch and purple grenadier. In the rabbit section, the rabbits run free and their droppings fertilize the fruit trees growing here. Other cute furry critters include ferrets (mind your fingers), porcupines, some Javan deer and prairie dogs. A couple of musang were confined in a tiny cage and they need to be rehoused to a more spacious enclosure as soon as possible. The deer could also do with more space. There are a couple of large iguanas and the aquarium tanks contain ikan patin, patin putih, golden koi, butterfly koi and other local species. The pretty garden contains a windmill, a scarecrow and other items which people might like to use in their selfie photos. The biggest structure on the site is a 3 storey swiftlet farm which is partly used as a visitor centre containing a video show, 3D mural and displays to educate adults and children on the types of birds’ nests, swiftlet habitat, bird house management, bird’s nest harvesting and nutritional value of bird’s nests. 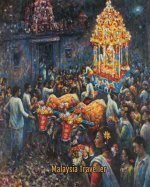 RM 3 admission fee. An organic food shop is housed in a very attractive green, black and white building next door to a ‘local farmer’s market’ which sells more produce (but no fresh fruit or vegetables at present - planned for a future development). Here visitors can try some of the bird’s nest and other health food products. Wall displays here provide information on the history of bird’s nest (discovered by Cheng Ho in the 15th century), types of swiftlet, construction of swiftlet farms, health benefits of bird’s nest and so on. 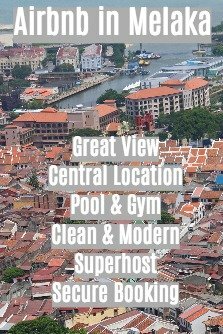 The main earner for the business would be the Bird’s Nest Sales Centre where a variety of premium quality bird’s nest products are on sale, some of them highly priced. Though a glass window you can see the staff, hygienically equipped with lab coats, hair nets and face masks, delicately removing inedible specks from raw birds’ nests with pairs of tweezers. It is a lot of care for something that has come out of a bird’s mouth! In the car park area is a collection of six historic cars. Scarily I realised that only one of them is older than me! 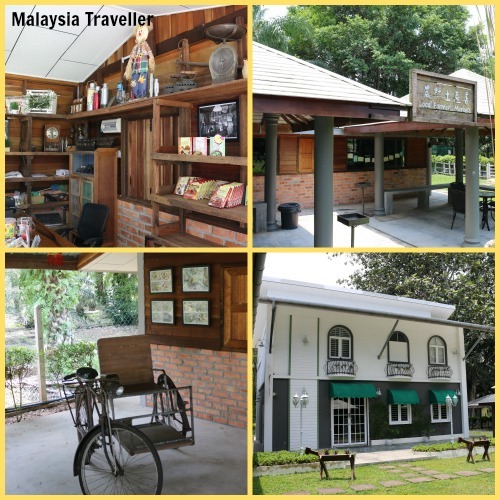 There is no entrance fee to Kuan Wellness Eco Park itself but fees apply to the mini zoo (RM 5) and the swiftlet home (RM 3). Free admission for children below 5 years old & height below 90cm. 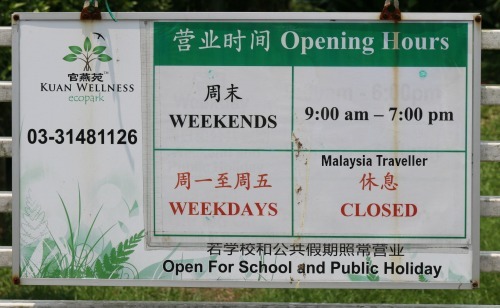 Open at weekends, school and public holidays only from 9 am - 7 pm. This attraction has been designed and constructed to a high standard. Nice place for an hour or two's visit but if this business wants to promote itself as an eco-tourism destination it should devote more space to the animals under its care to give them room to move around. They could perhaps adopt the open, cageless compounds that Farm In The City uses successfully for its animals.